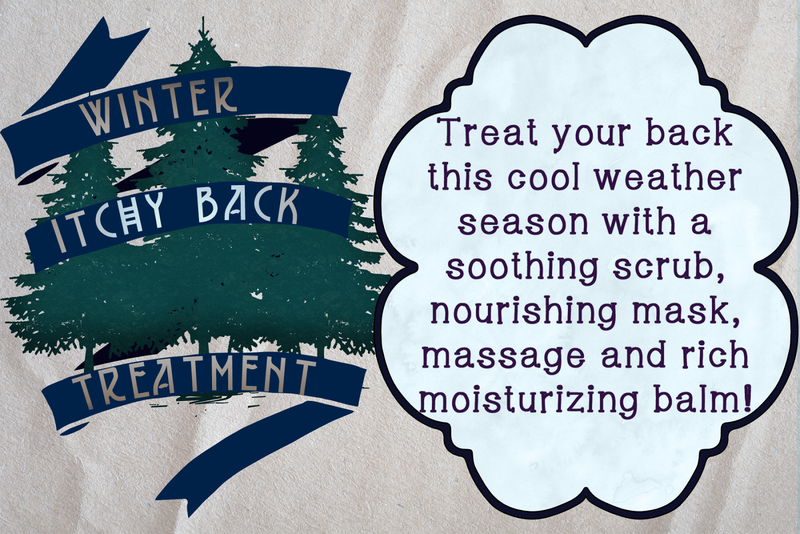 Skip The Itchy Back This Winter! We have a new treatment for this cold season! A more simplified version of the back facial, we're offering a relaxing, warming cozy back treatment to help deal with the cooling weather and drier air. Get your loved one a gift certificate online by clicking here! Request an appointment online by clicking here! Wish you could get some extra massage? Or just a massage without the custom skincare treatment? You can now book a stand alone massage with (non RMT) Tereska! Get a beautiful 25 minute scalp, neck and shoulder, hand and arm or back massage! 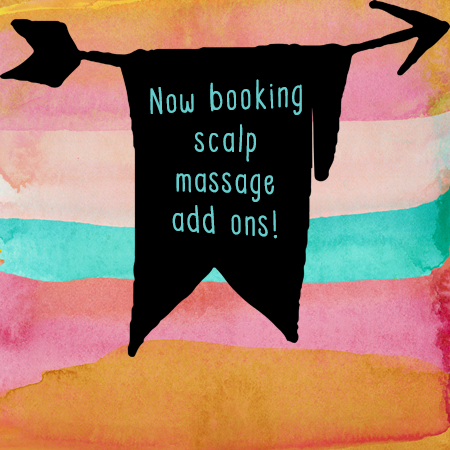 Or you can add extra back massage (to back treatments), scalp massage or up to 20 minutes of additional massage starting at $15-40. Get a gift certificate for a 25 Minute Non RMT massage by clicking here! Get a gift certificate for a Winter Back Treatment with extra massage by clicking here!